Grilled chicken is a summer staple. This time of year is all about finding inspiration for chicken on the grill. Here we compiled tips from expert chefs, as well as how to shop for the best chicken and a handy chart that tells you how to prep and cook time for different types of chicken. 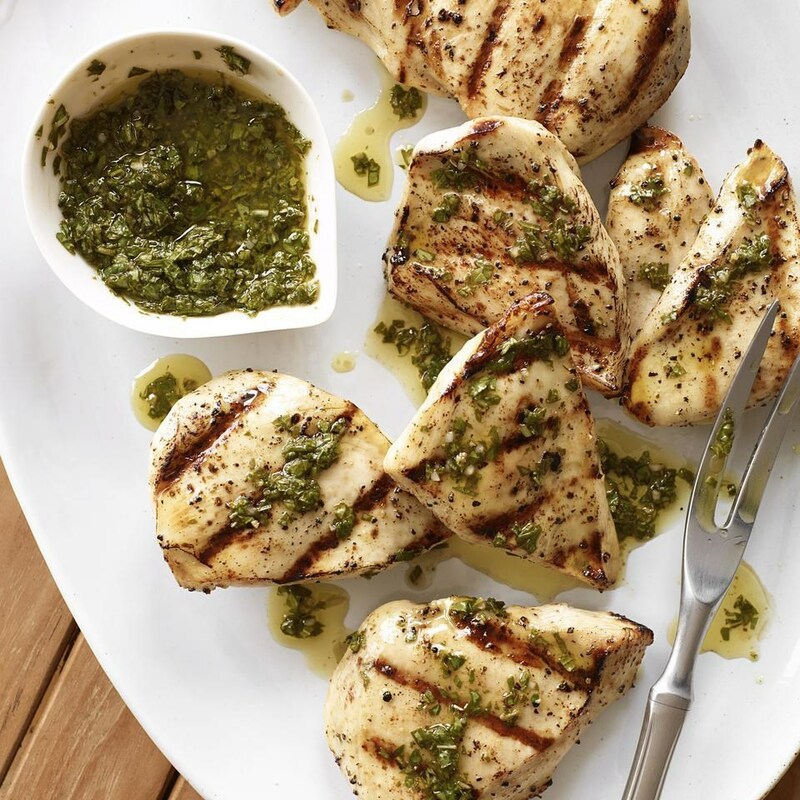 Plus, get inpired with some of our favorite recipes and marinades to take your grilled chicken from basic to fabulous. Here's your guide to how long it takes to grill pieces of chicken over direct, medium heat (400°F). Before you get started, pick a delicious healthy marinade recipe or dry rub recipe for your poultry. When you're ready to grill, oil the preheated grill rack, place chicken on the grill, close the lid and cook, turning once, until the chicken has reached an internal temperature of 165°F. For 4 servings, start with 1 pound boneless chicken or 2 pounds bone-in. Prep Trim fat and halve chicken crosswise. Prep Remove skintrim fat and halve chicken crosswise. Prep Remove skin and trim fat. 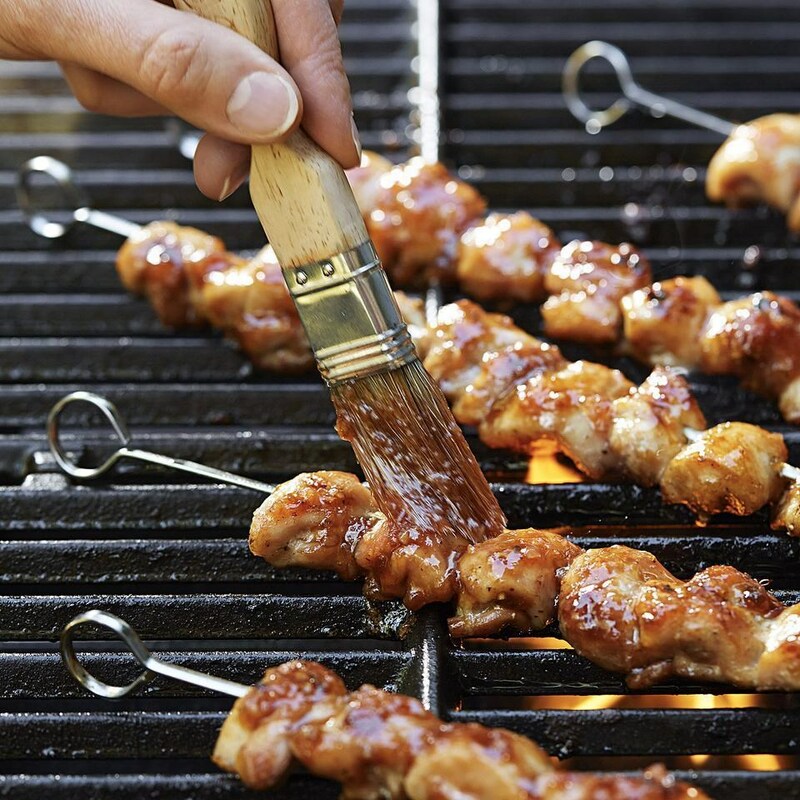 Prep Trim fat, cut chicken into 1-inch pieces and thread onto skewers. Shop Smarter: When it comes to labels don't be fooled by the word "natural"—it may paint a pretty picture about quaint farms and happy chickens, but it merely means that no additives or preservatives were used in processing. If you want to know what the chicken was fed or how it was raised, organic is a better bet or seek out a local source that's raising chickens well. Play It Safe: Don't rinse chicken—it only spreads bacteria to your sink and other surfaces. The only way to get rid of harmful bacteria is to cook chicken to an internal temperature of 165°F. Check the Ingredients: Some chicken is "plumped" with a solution of saltwater or broth to make it more tender and juicy. This may sound appealing, but you're paying for the weight of the solution and will end up with chicken that's too salty if you add on flavorings like rubs, marinades or sauces. Avoid chicken that lists anything other than water on the label. Layer the Flavor: Add another layer of flavor to chicken while it's on the grill by basting with a sauce or glaze or quick-smoking it. On the plate, give your chicken a final tasty blast with a slathering of sauce or salsa.